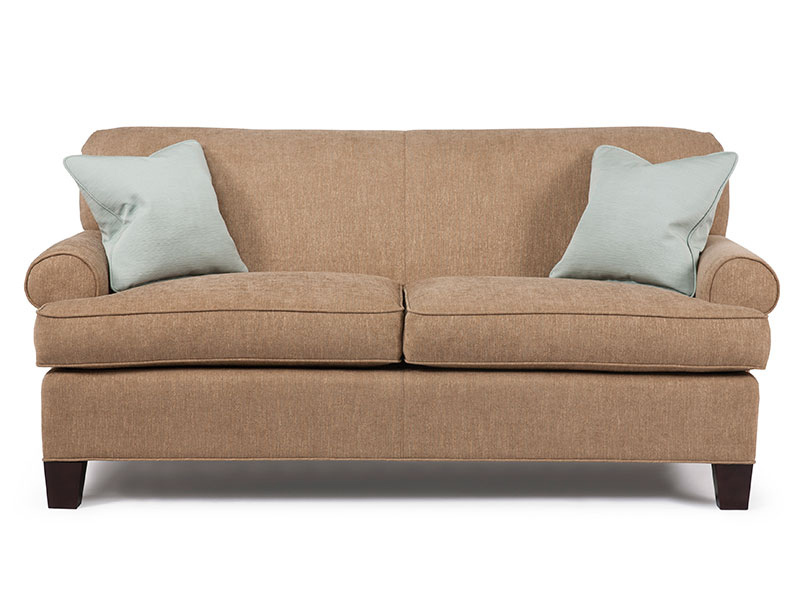 The Edmund Collection features the classic Lawson arm with cap arm facing, a plain front edge, tight back and spike legs. Available in many different fabrics and leathers. We start with a 100% Canadian kiln-dried solid hardwood frame . All key joints are double-dowelled as well as glued and screwed. Corner blocks are used to disperse weight equally along the base and side. 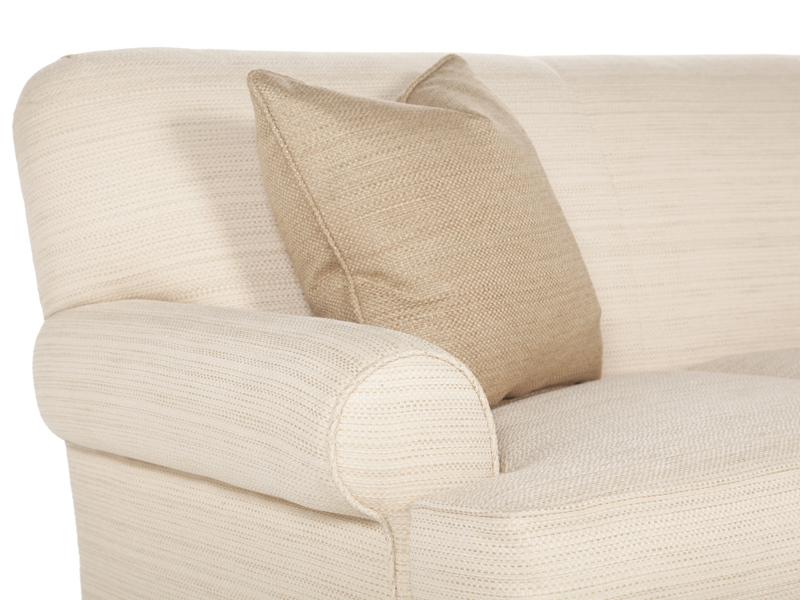 Try lifting a Barrymore sofa and you’ll see the difference. Eight-way hand-tied coils are the gold standard for high-quality upholstery, expensive and labour-intensive as they are. Barrymore has replaced the traditional burlap base and hemp twine with ultra-strong polypropylenes — an ideal marriage of tradition and technology. The Seat Cushions. Barrymore Signature Seating uses convoluted foam with 2.2 lbs density. 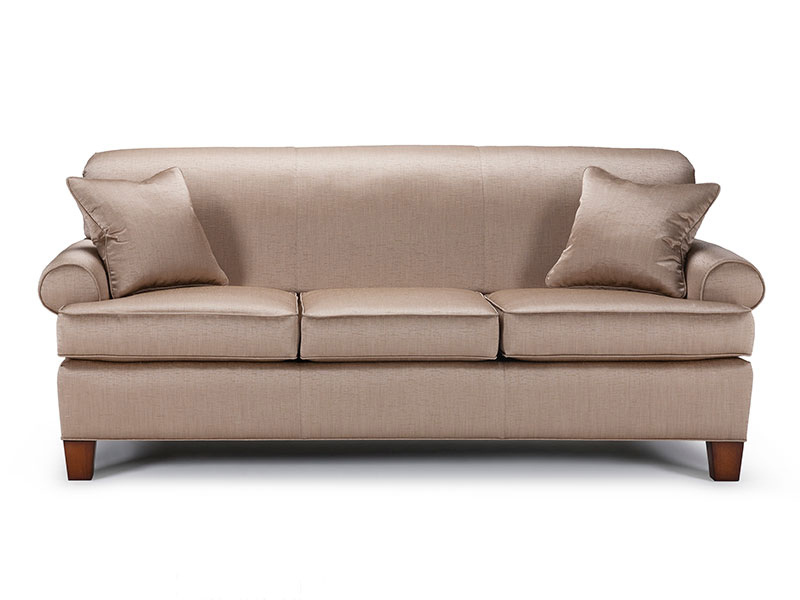 Each foam core is pre-stressed and covered with a luxurious envelope of high-loft polyester fibre. 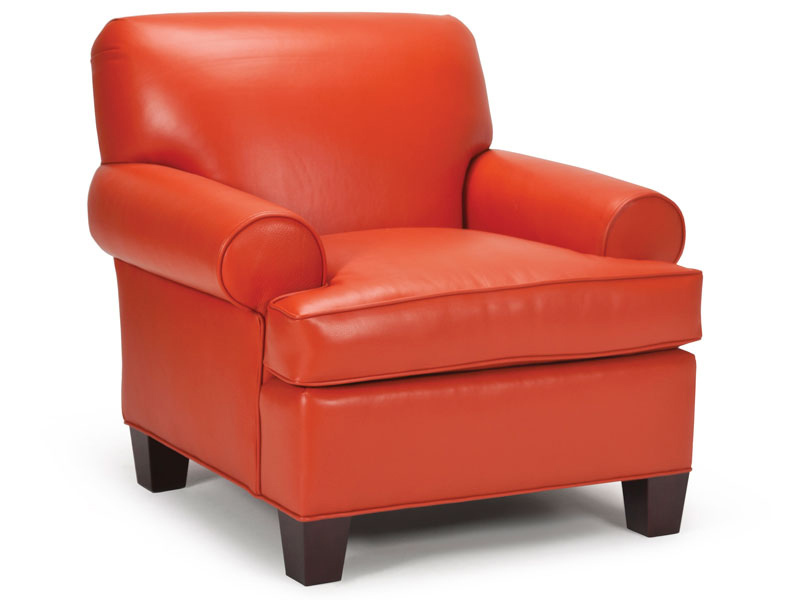 This seating construction provides an ideal combination of support, durability, and softness. The Back Cushions. 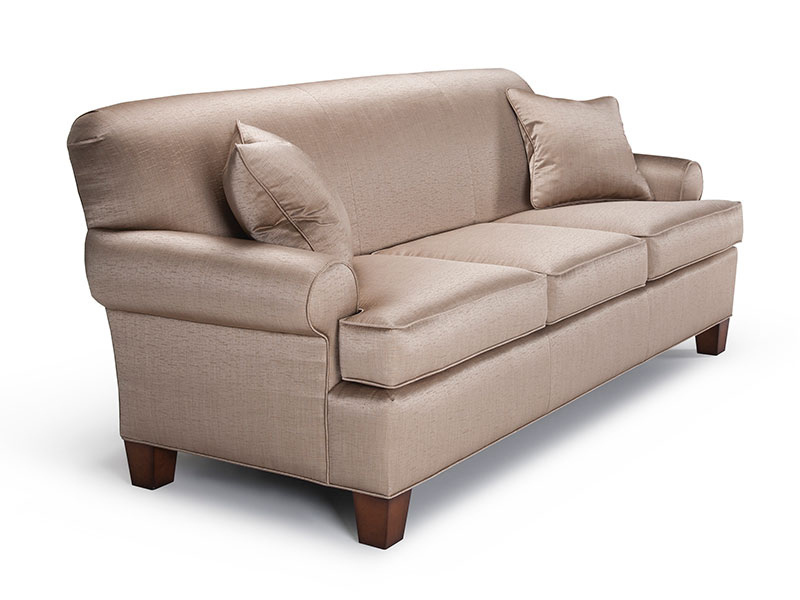 The finest Dacron fiber available is used in a channeled cotton casing to ensure longevity and comfort. A layer of cotton felt carefully wrapped over the hardwood frame, then sturdy polyurethane foam for shape, then another layer of cotton felt – all combine to give a luxurious feel. Meticulous hand-finishing, pattern-matching and stitching as well as bench-made construction by experienced upholsterers ensures that every ‘Barrymore’ is of unequalled quality and will last for generations.